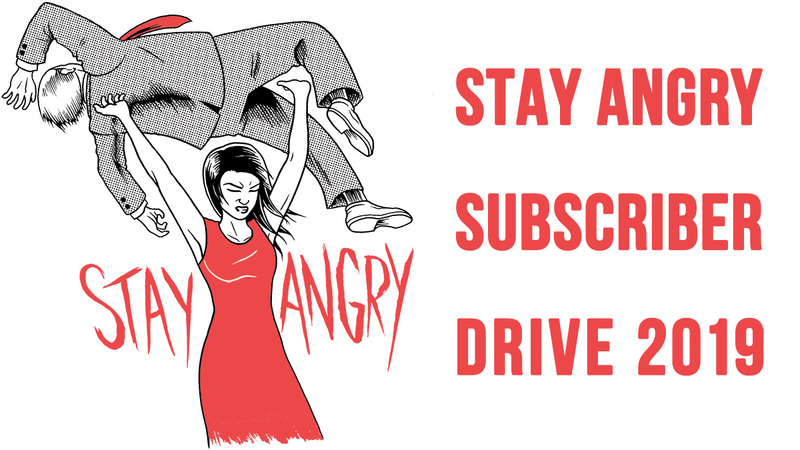 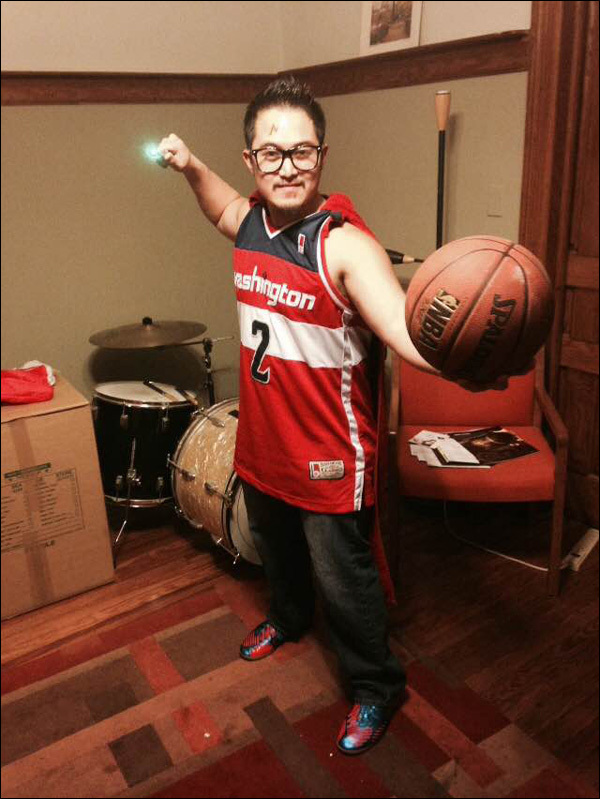 Round two of our annual gallery of reader-submitted Halloween costumes. 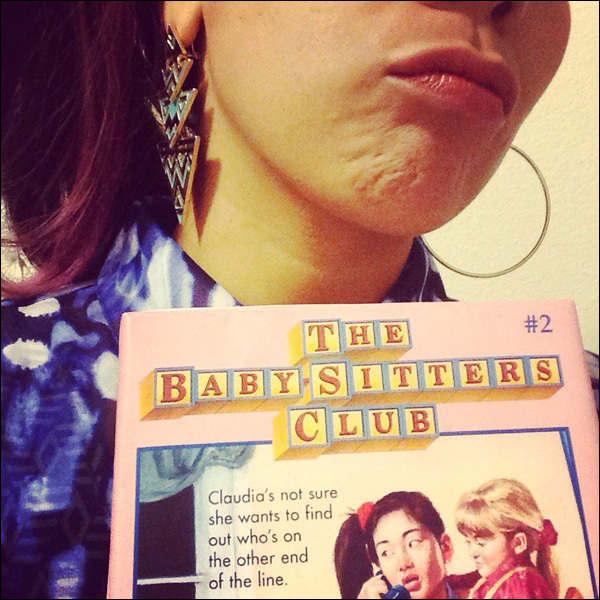 Nina as Claudia Kishi from The Babysitters Club. 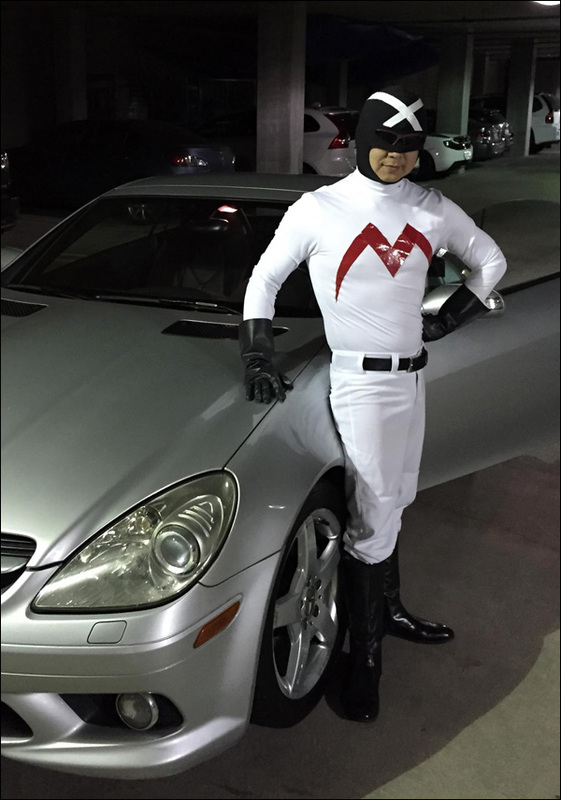 George looking sharp as Racer-X. 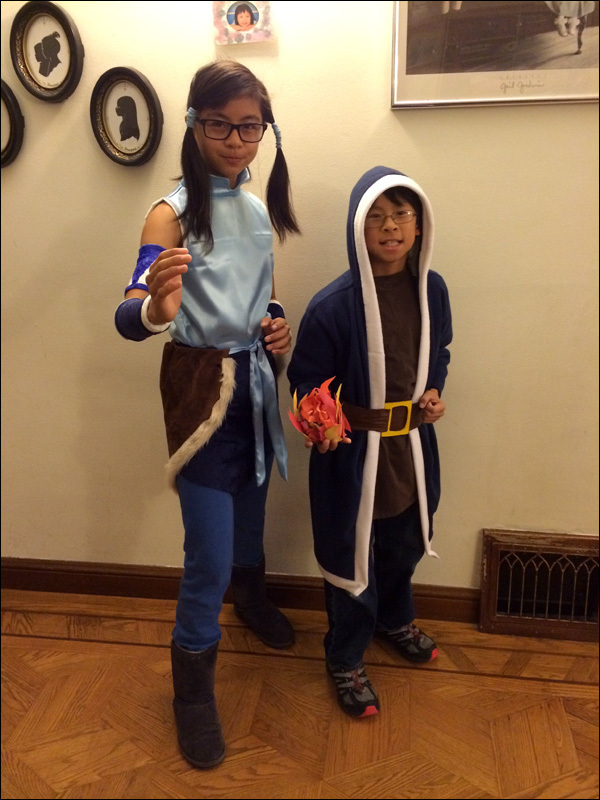 Korra and a Level 5 Wizard from Clash of Clans. 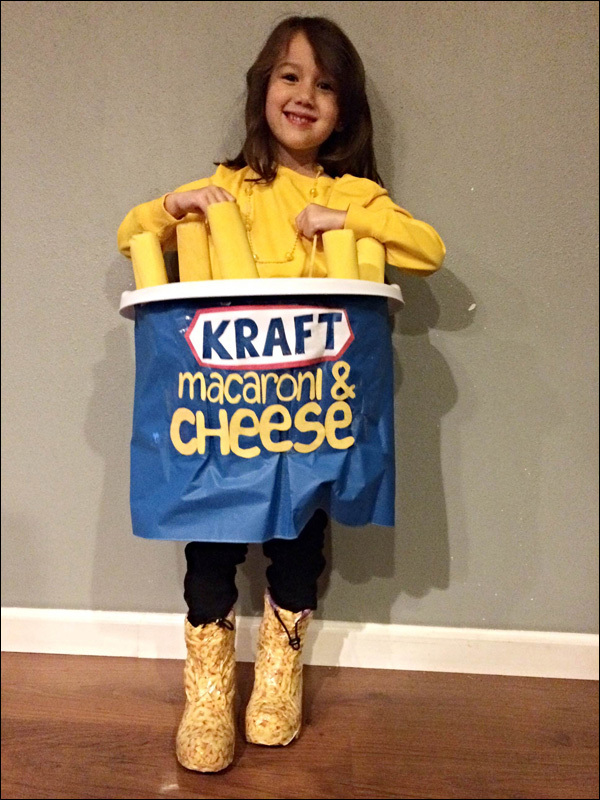 Alice as a handsome looking package of mac and cheese. 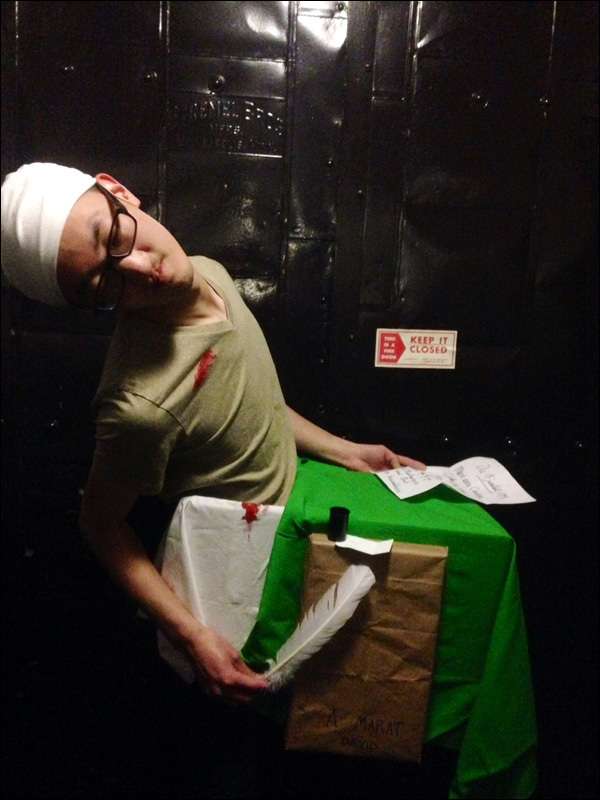 Jon as Jacques-Louis David's "La Mort de Marat." Yeah, the painting. 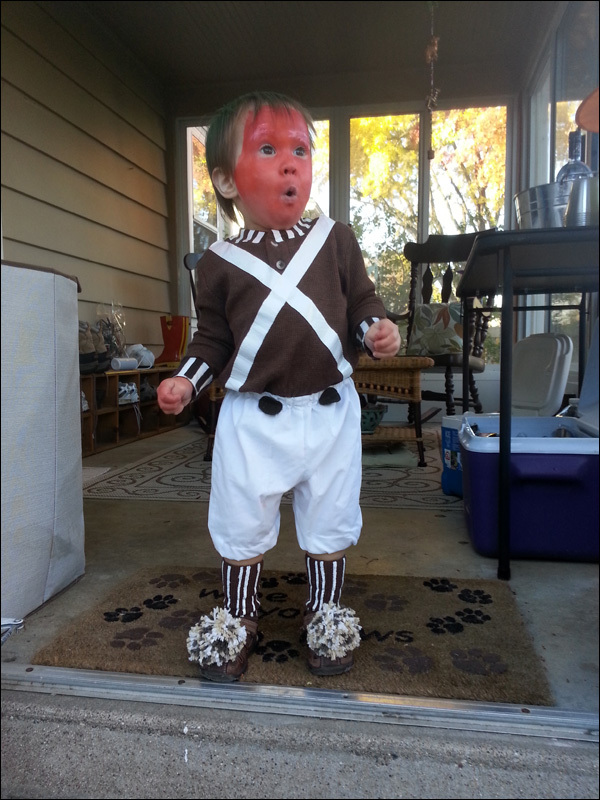 A 2-year-old Oompa Loompa from Willy Wonka & the Chocolate Factory. 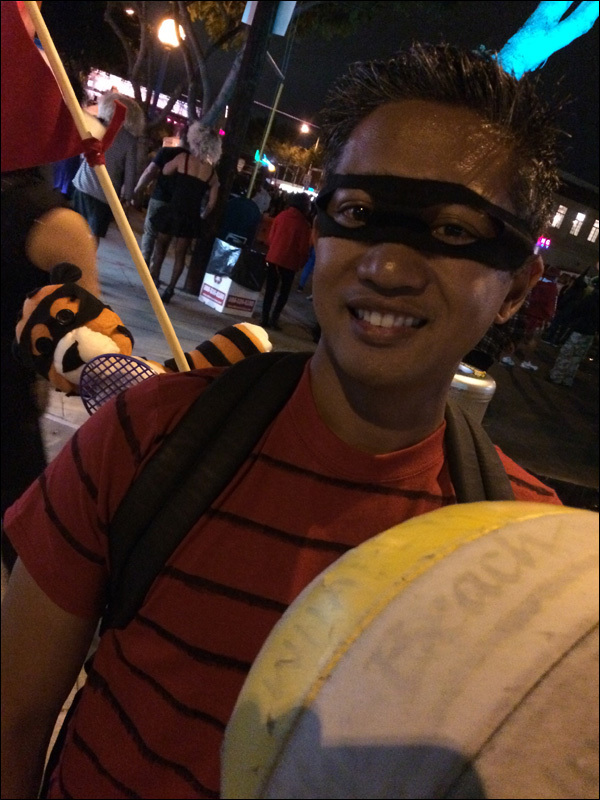 Justin is up for a game of Calvinball. 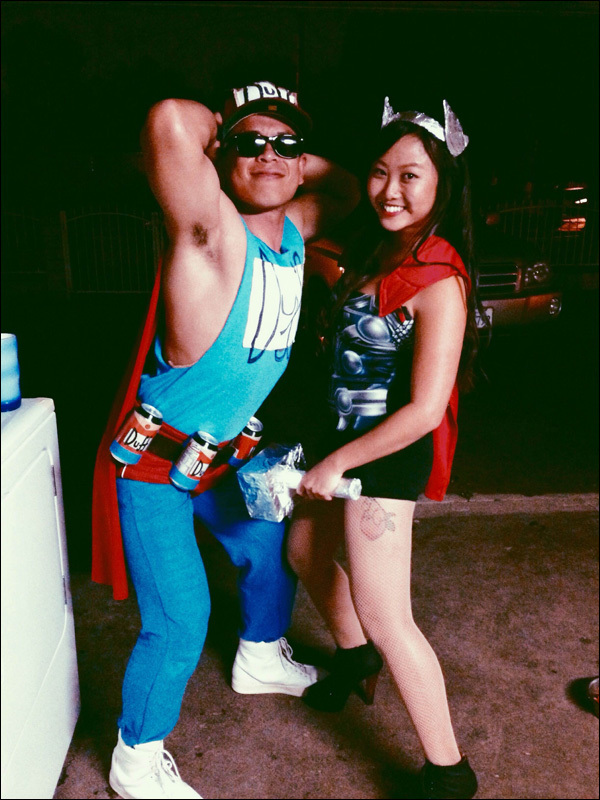 Duffman and the Mighty Thor. 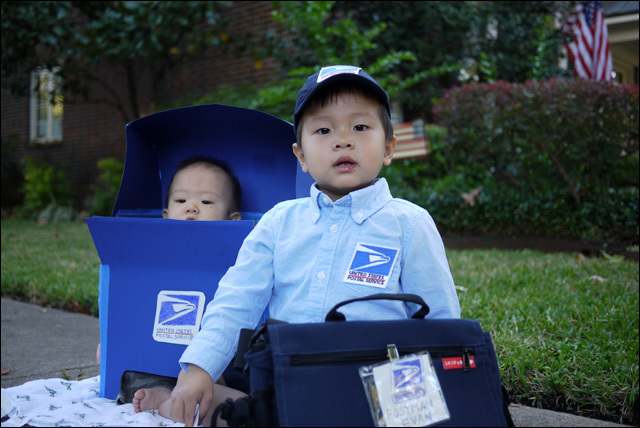 Annie as a crayon. 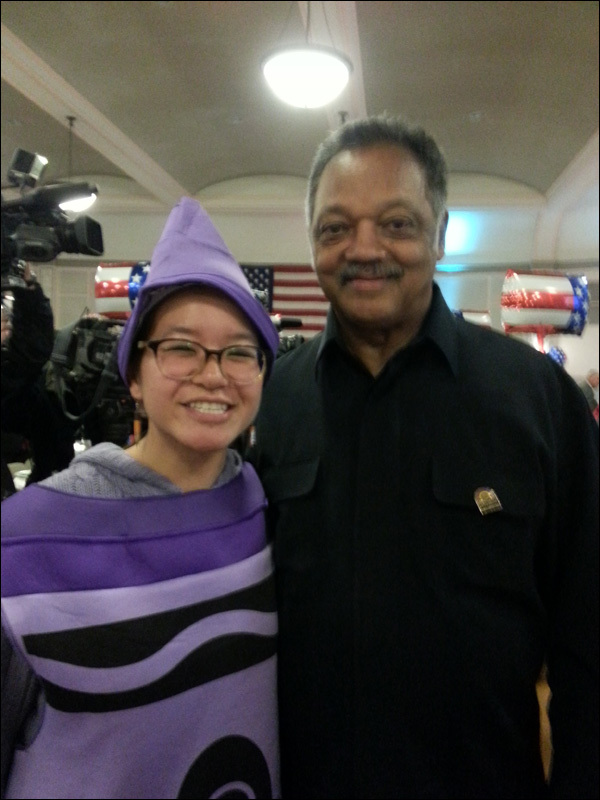 And Jessie Jackson ... as Jessie Jackson! 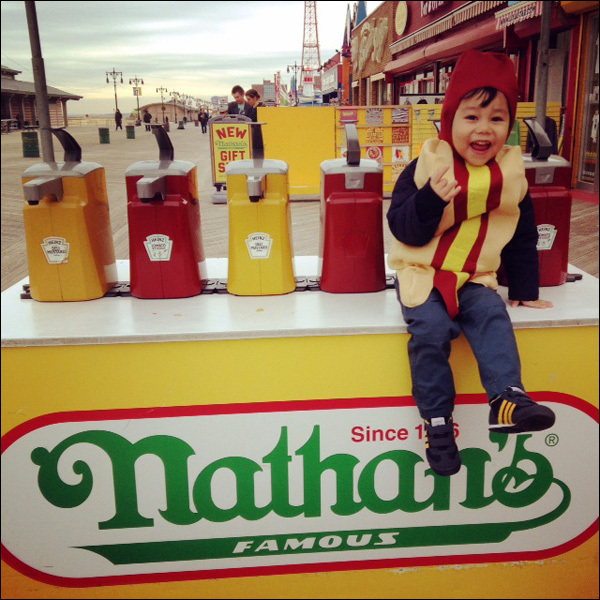 It seems appropriate that little Nathan is dressed up as a hot dog. 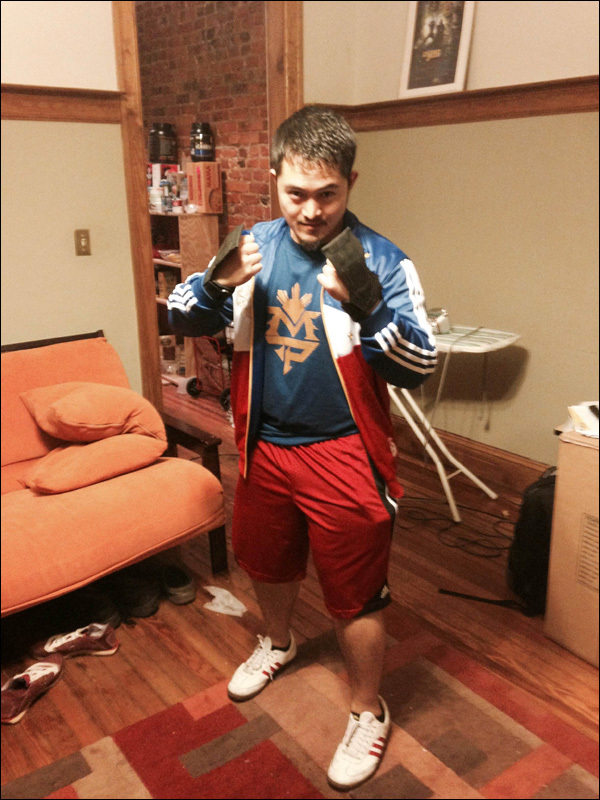 Gian wasn't content with just one costume. 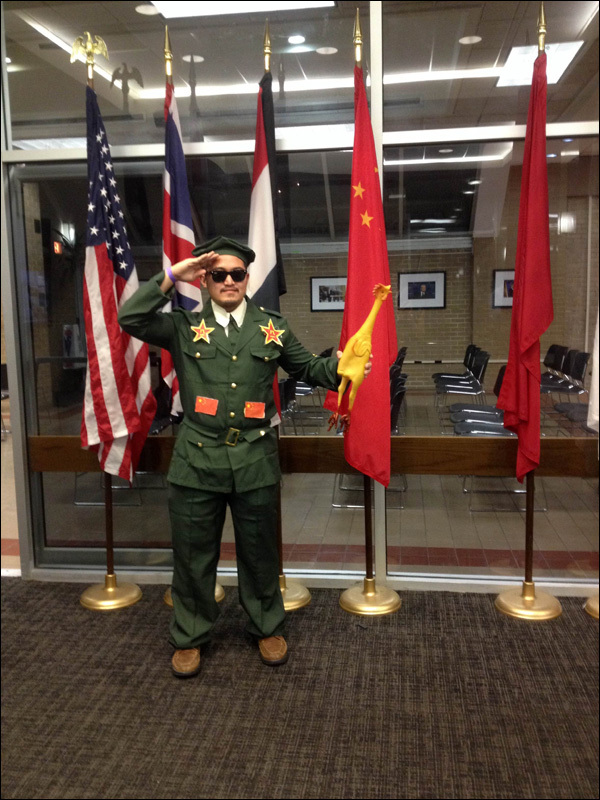 Here he is as "General Tso." 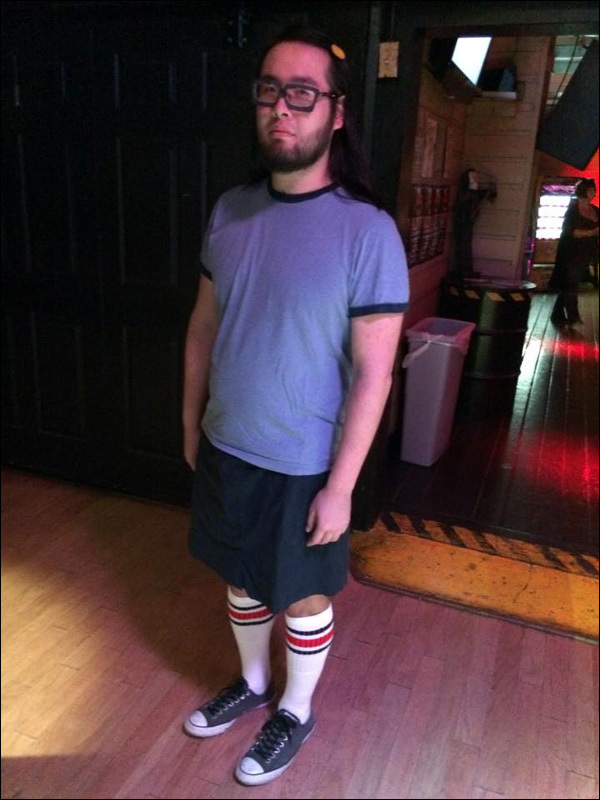 Terence as Tina Belcher from Bob's Burgers. 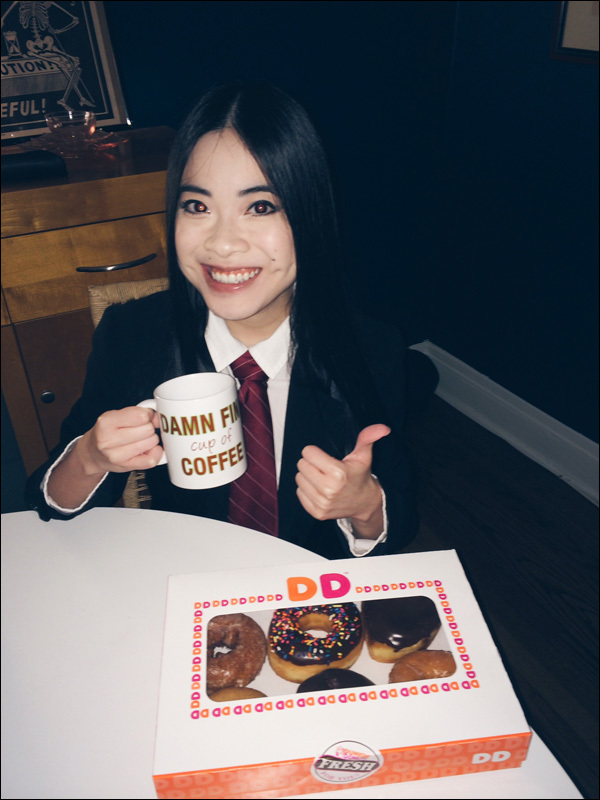 Jenny as Agent Dale Cooper from Twin Peaks. 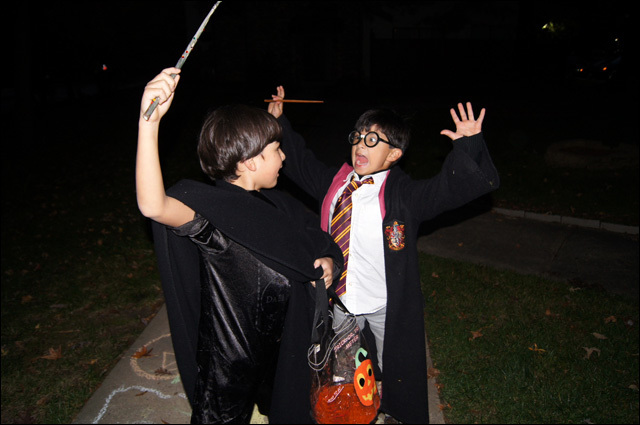 Clinton as Severus Snape and Jack as Harry Potter, locked in a deadly magical duel. 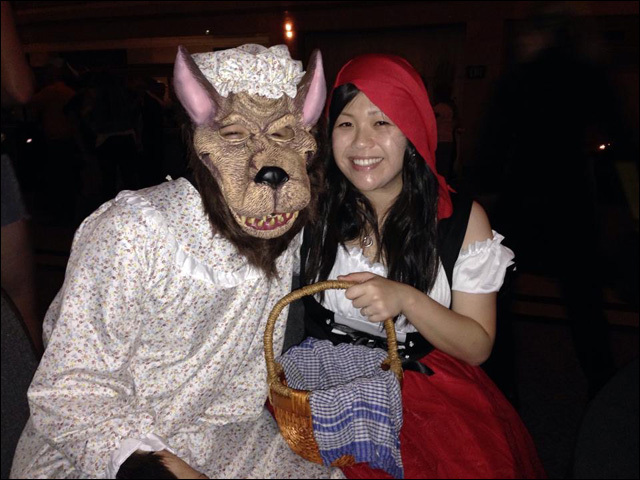 Tiffany and Matt as Red Riding Hood and the Big Bad Wolf.